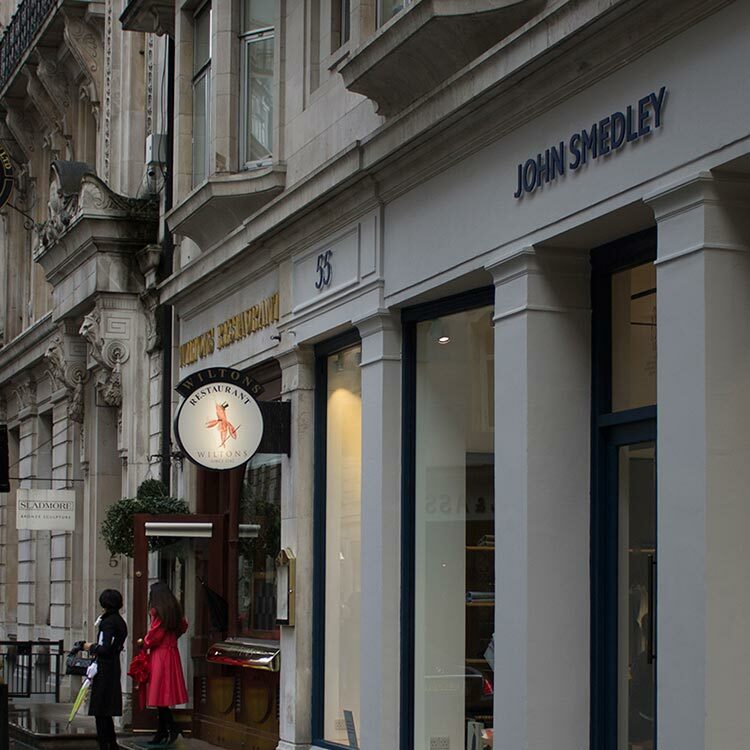 Opened on the March 10th 2016, our second independent retail store in London at 55 Jermyn Street in St James’s, launched our brand in an area renowned for its dedication to craftsmanship, British historical relevance and the discerning consumer. 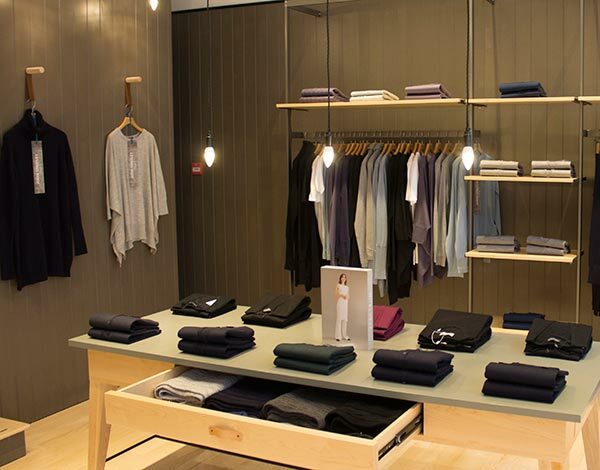 Our John Smedley store channels all of these elements, offering an immersive space dedicated to championing our passion for craftsmanship, British design and storytelling of our rich 230 year heritage all set within a thoroughly contemporary setting. 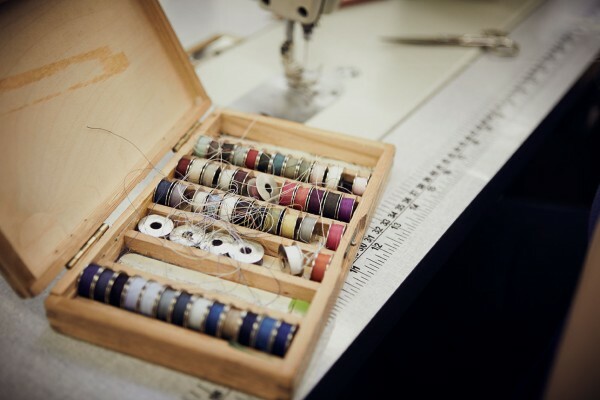 Within the store, elements from our history and home in Lea Mills, Derbyshire, have been transformed into intricate design details. 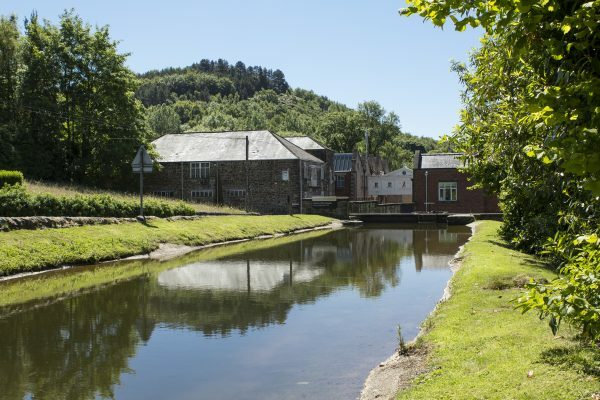 Within the new space, you’ll find Derbyshire Marble table tops, hand cut maple flooring mirroring the original factory floors and inset leather walkways replicating original trolley-ways put in place at our mill in the 1800s. 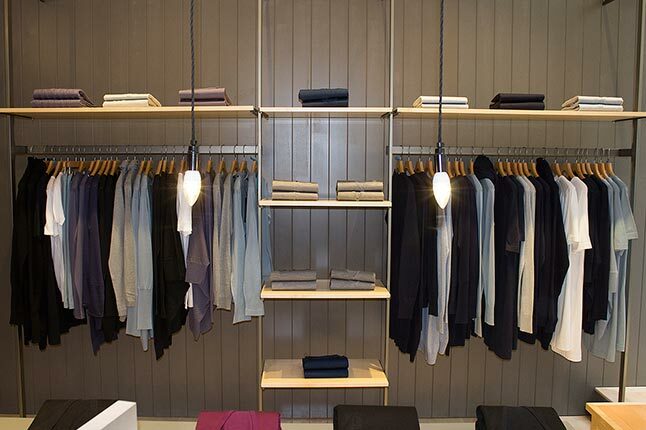 Contemporary handmade British furniture adorns the store and fitting rooms, alongside bespoke lighting designed and crafted in a variety of British woods by Derbyshire-based designer, Corin Mellor. 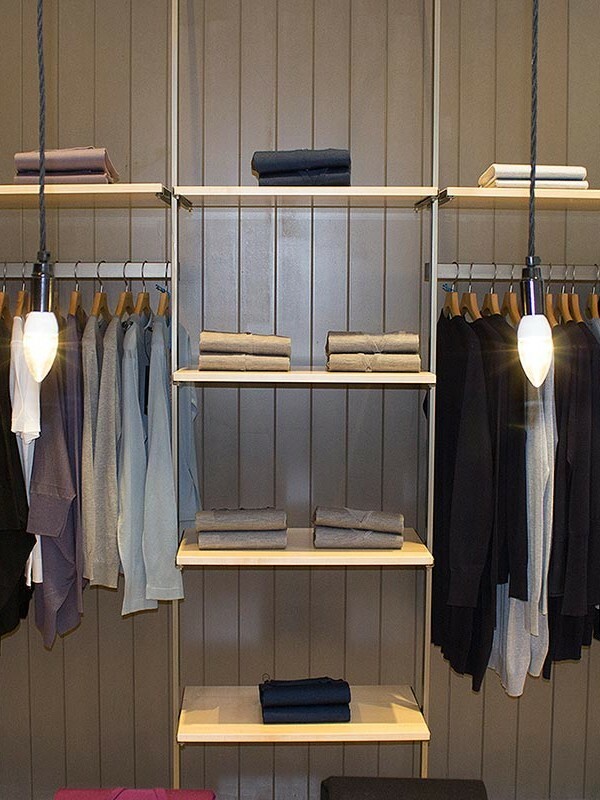 To further champion contemporary British design, we commissioned bespoke fabrics from QEST (Queen Elizabeth Scholarship Trust) Scholar ,Tara Osborough, who takes our signature colour palette and translates this into the hand woven cloth from British wool that envelopes fitting rooms and fixtures. 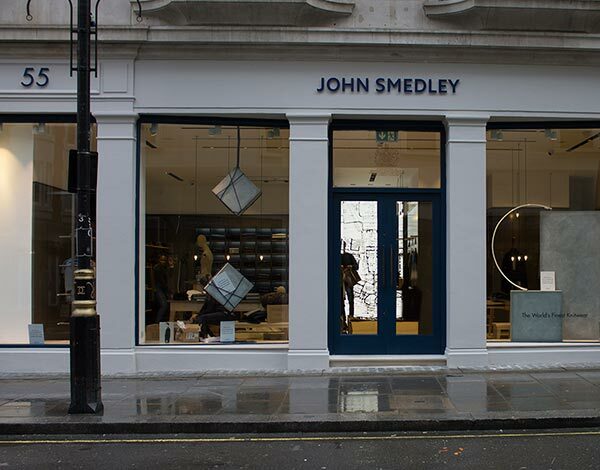 Benefitting from five front windows, our latest John Smedley store champions light, openness and tactile details, with consumers invited into the store from Jermyn Street via entirely unobstructed windows, each displaying garment highlights. 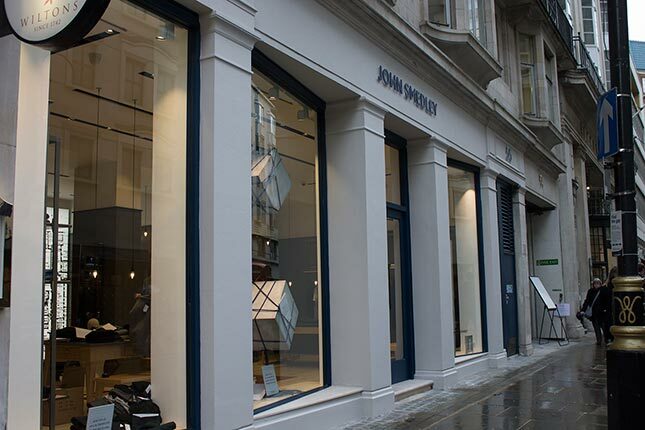 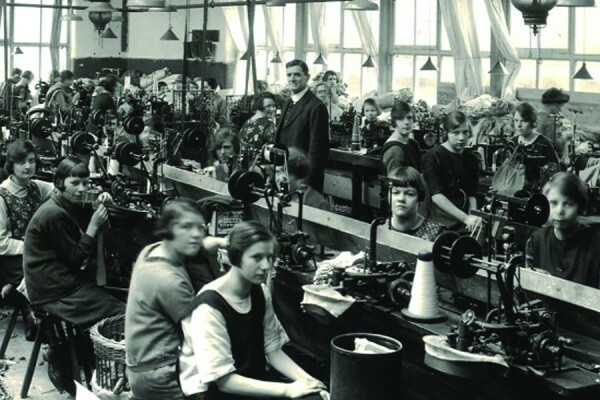 Alongside this sits a selection of interactive lightboxes and screens which will showcase a series of films representing both the craftsmen and women behind the brand and the seasonal collections themselves. 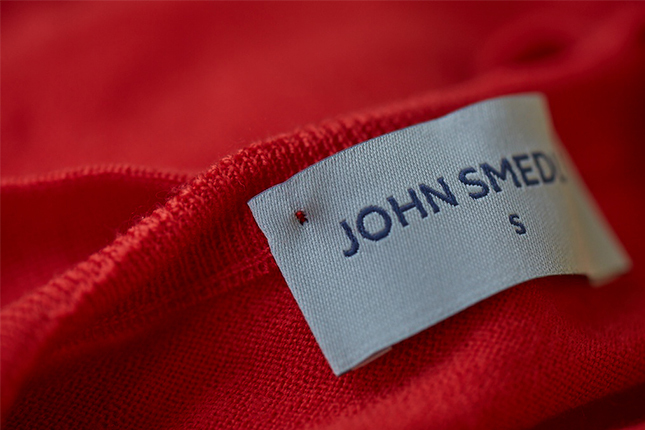 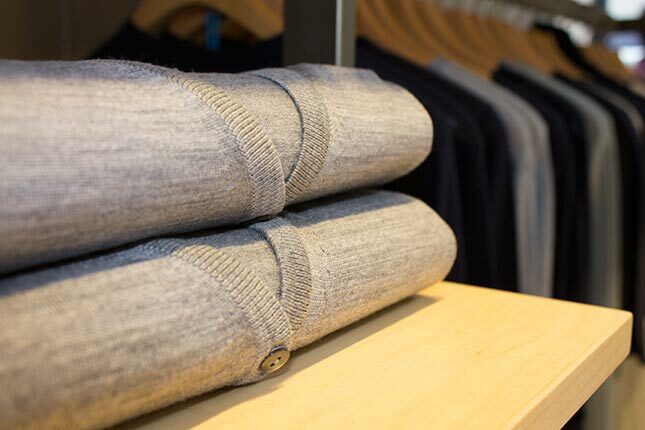 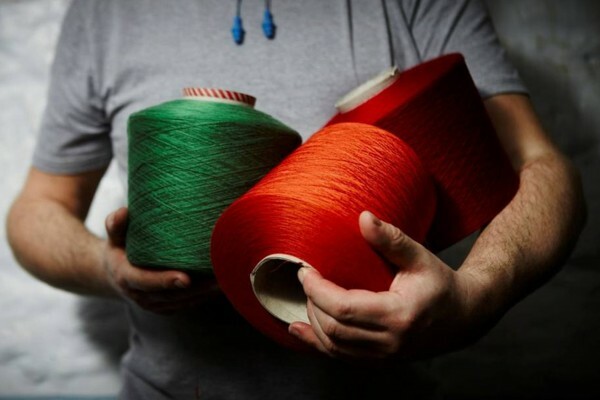 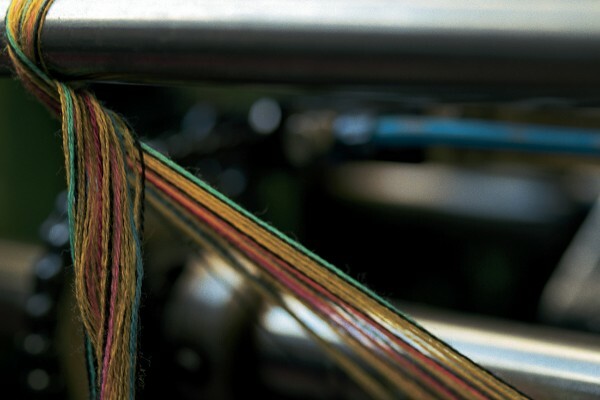 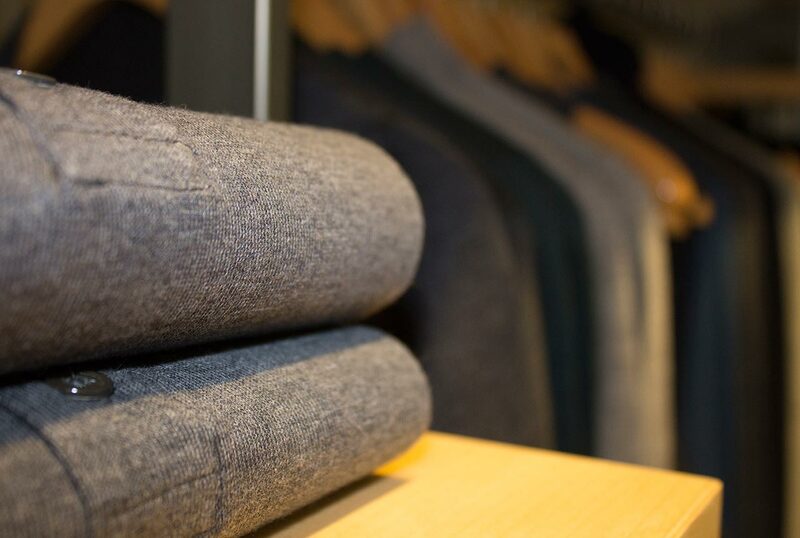 Look out for live screenings to showcase John Smedley at London Collections: Men and London Fashion Week.